Ever since I started presenting photography adventures over 15 years ago, I have always taught my workshop participants the importance of 'getting it right in camera'. With countless image developing and processing programs available on the market nowadays, it could be easy for photographers to take whatever shots they can and then 'fix them in Photoshop or Lightroom'. The problem with this method is that in many cases, you can’t make a silk purse out of a sow's ear, as the old phrase goes. 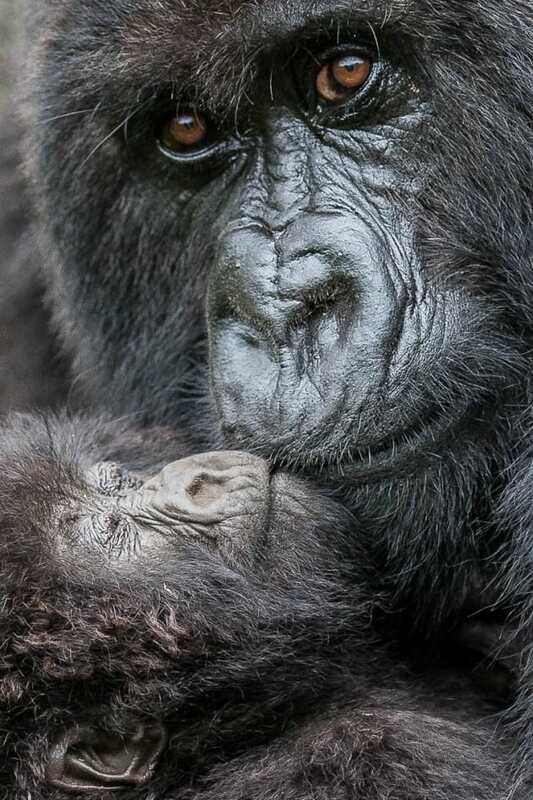 Slowly moving closer towards this Mountain Gorilla and her baby with my camera meant minimal cropping was needed when processing the image. If you take an image that's blurry, due to a low shutter speed or unsteady camera-holding techniques, it's near-impossible to 'correct' it in post-processing. Sure, you can sharpen images but no amount of computer work will improve an image that's faulty from the start. Therefore, learning the best settings and techniques from the start is very important. If you enjoy photographing fast-moving subjects such as birds in flight, it goes without saying that getting a sharp shot in-camera, rather than correcting a 'soft' image later, is by far the preferred method. When using a large lens, using correct hand-holding techniques will help eliminate 'shake'. 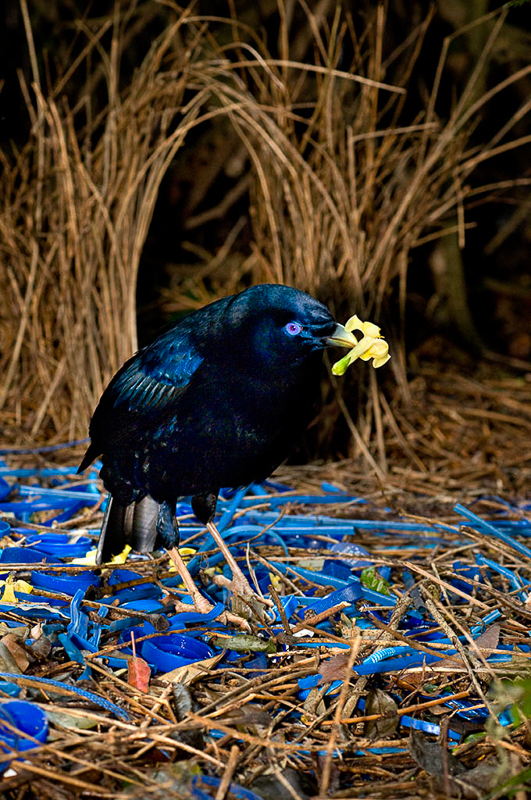 It was important to use the correct lighting (diffused flash) in order to get a sharp image of this Satin Bowerbird in Lamington National Park, Queensland. Not using a flash would have meant using an excessively high ISO, which would have caused lots of noise in the image. By bracing your arm against the side of your body, it will help with stabilisation. Another method, which I highly recommend, is using a monopod with a specifically-designed head. The large lens attaches to the monopod head via the lens collar and allows the photographer to move up and down as well as left and right. Apart from stabilisation, it also gives your arm a chance to rest, especially if the lens is quite heavy. A third method of keeping a large lens still is using a photographer's beanbag. These beanbags are purchased empty and can be filled with rice, seeds or beans and then sealed with Velcro. When travelling long distances, especially in planes, it's impractical to bring the filling back, so they can be easily emptied and refilled next time. Nature played a part in this image being so evenly exposed. Perfect overcast weather resulted in minimal developing needed to change any possible exposure issues. Exposure is another aspect of photography which is difficult to correct in post-processing if it's incorrect. Sure, a bit of over or under exposure can be corrected in programs such as Photoshop or Lightroom (especially when shooting in RAW), but if your image is too over-exposed, no amount of manipulating will improve the image. I would much rather 'get it right in camera' and spend more time out in nature, than spend wasted hours post-processing images that were shot using poor technique. Once the whites are over-blown or washed out, you are simply trying to 'rectify' a bad image. An overblown image that has been worked on will never win a competition or make the cover of a magazine! 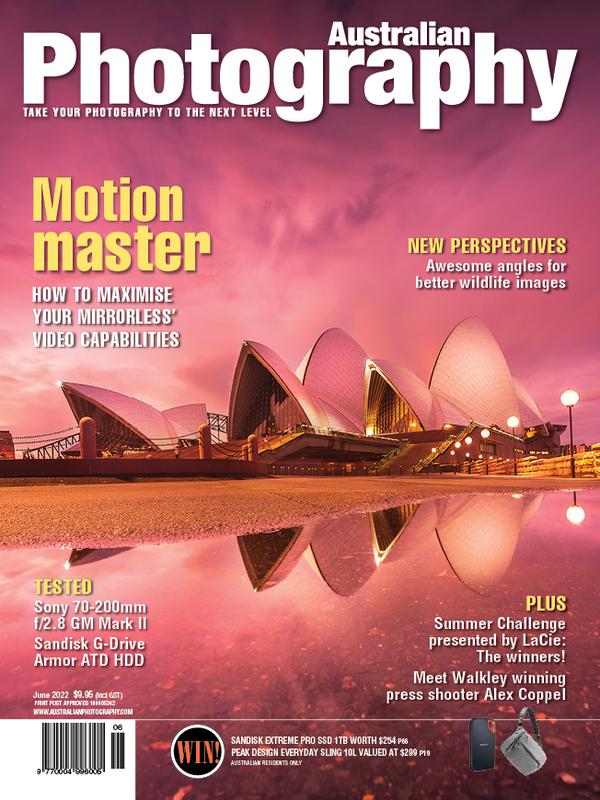 Quite simply, learn the correct settings to use, such as metering, exposure compensation etc. Once you have mastered what settings are needed for different situations, your 'strike-rate' of correctly-exposed images will improve greatly. 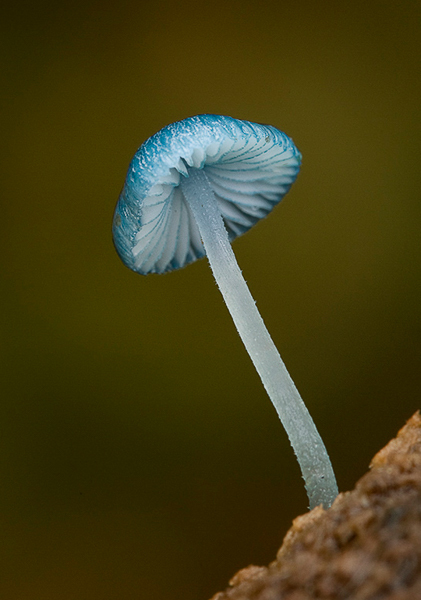 Using a sturdy tripod, manual focus, a hand-held reflector to reduce shadows and a cable release, I was able to get a perfectly sharp image in-camera of this rainforest fungi, taken in Cradle Mountain, Tasmania. With landscape photography, there is a method used by many photographers which balances over-exposed and under-exposed areas in the one scene. This is known as HDR (High Dynamic Range). The idea is that you take a series of images at different exposures and once downloaded, you use a program to merge, the identical images (but with different exposures) to create one evenly-exposed image. The only problem with this method is that many photographers over-process these images, so they end up looking quite fake. Over the many years of judging photography competitions, I have seen quite a number of potentially-winning images of amazing landscape scenes, ruined by gaudy, over-the-top processing that makes the images look very unappealing. I respect that as photographers, we all have individual tastes and that everyone won't like the same style of imagery. I can honestly say, however, after so many years presenting photography workshops and doing presentations at camera clubs and conventions, that I have had lots of photographers talk about how they find the fake look of HDR imagery quite awful. I am in no way against photographers using HDR techniques, it's just that it is important to use correct post-processing techniques for the best results. It's not HDR that's the problem, it's the way the images are processed. Personally, I don't use this technique and it's another example of my preference to 'get it right in camera'. I research my locations and check weather reports, then get out there with my camera at the best times of day, to photograph nature at its best, in the best light. By using the correct metering and exposure in-camera, this polar bear image needed little more than some sharpening and a small amount of highlight removal in Lightroom. Correct composition 'in-camera' is preferable to cropping on the computer later. Cropping an image in Lightroom or Photoshop, for example, is perfectly okay and normal practice. The only issue is that heavy cropping will cause the loss of too many pixels. The equation is quite easy: 'The more you crop, the more you lose'. Heavy cropping isn't necessarily an issue when wanting to create screen resolution images (for posting on Facebook or Instagram, for example). If, however, your aim is to create a large print to frame and hang on your wall, then the lack of pixels due to over-cropping can be a real issue. By using a camera with more megapixels, cropping isn't such an issue but not everyone owns a 50 megapixel camera! For wildlife, lenses with larger focal lengths will help reduce cropping later and even lenses with medium focal lengths can be effective, if correct technique is used to slowly approach wildlife. By moving slowly towards an animal and therefore reducing the chance of it scampering away, you will increase the size of the image in your frame. Less cropping needed later! 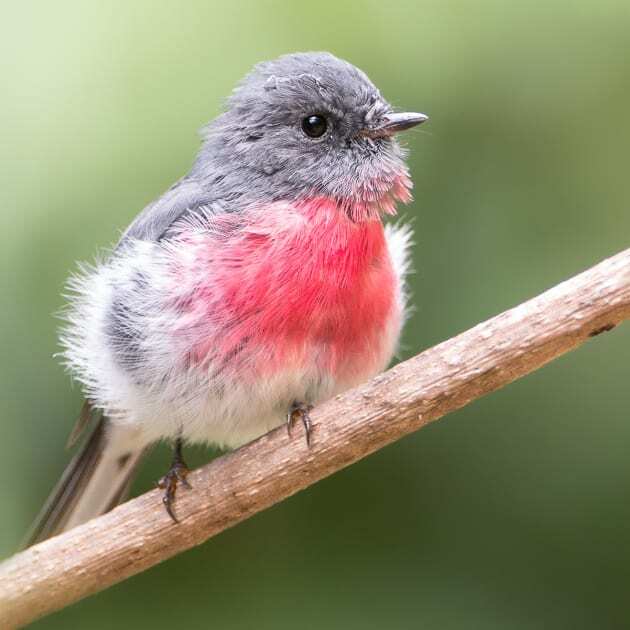 The background for this Rose Robin, photographed in the Bunya Mountains, in Queensland, is beautifully blurred out. This was achieved by using the widest aperture my lens allowed, as well as moving to a position where there was quite a distance behind the bird. To me, recreating a magic landscape scene, such as a sunset or sunset, is a wonderful reminder of a great experience. You can show people the image(s) and they will get a sense of what the scene was like. It is also a memory of your own individual experience, which can be looked at for many years to come. By over-processing an image to try and 'impress' those seeing it, usually doesn't often work. The over-use of the saturation slider certainly doesn't impress me when I'm judging a photo competition! By processing the image subtly, you will have an image that looks far more appealing to the eye. 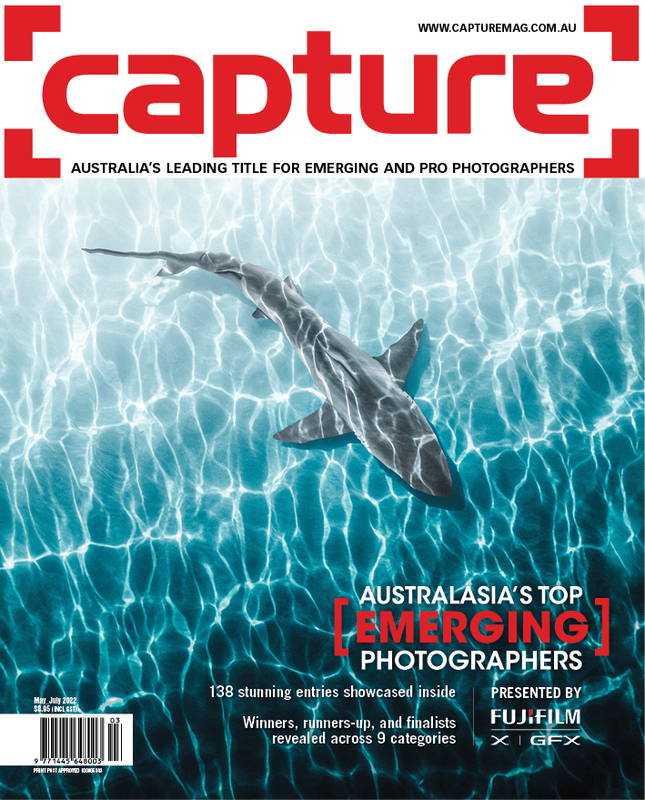 "I would much rather 'get it right in camera' and spend more time out in nature, than spend wasted hours post-processing images that were shot using poor technique". Michael Snedic is a professional wildlife photographer and tutor and has been presenting photography adventures for the last 15 years. He is the owner of WildNature Photo Expeditions, which offer small-number, professional photography tours to the most stunning wildlife and wilderness locations on earth! Locations include Antarctica, the Arctic (Svalbard), the Sub-Antarctic, Russian Far East, Galapagos Islands, Africa, India and Australia. His aim is to show participants the most amazing subjects and locations, while at the same time teaching the best techniques for photographing them.